BOGOR (8 August 2018) — Found in more than 80 countries and covering only 3% of the world’s land but storing 30- 40% of soil carbons, tropical peatlands have the potential to play a large role in the future of climate change. To further the discussion on tropical peatlands, The Center for International Forestry Research (CIFOR) with the support of the Government of Indonesia and the participation of the private sector organized a one-day event, the Tropical Peatlands Exchange, which served as a platform to update stakeholders and share information. The Exchange opened with remarks from representatives of CIFOR, the Peatlands Restoration Agency (BRG) and the Research, Development and Innovation Agency of the Indonesian Ministry of Environment and Forestry (FOERDIA). FOERDIA Director General Agus Justianto used his opening remarks to touch on the upcoming International Tropical Peatlands Center. Throughout the Exchange, around 120 participants focused on the opportunities and challenges of three subjects: science informing decision making, public-private partnership, and inclusion of peatlands restoration in emission reduction targets. 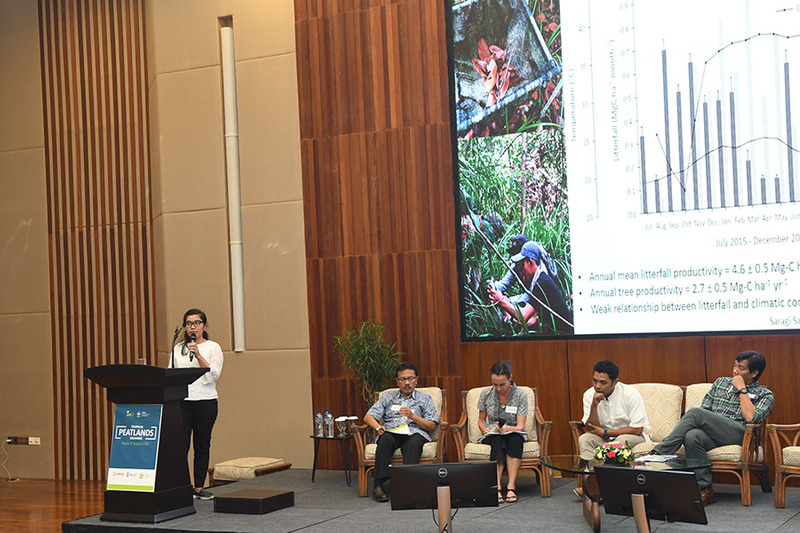 The Exchange included two panels: national and subnational exchanges; and four parallel sessions: peatlands and climate change, peatlands hydrology and subsidence, peatlands and ecosystem services, and community engagement for peatlands conservation and restoration. The sessions involved 29 resource persons. The panels and select parallel sessions were also broadcast live and recordings can be found here. For more information, visit the Tropical Peatlands Exchange.